Are you still looking for the perfect Christmas present? 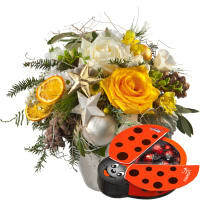 With us you will find high-quality gifts for women, men, family, friends and business partners. 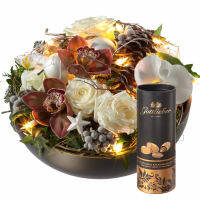 The tea gift set with a high-quality gunpowder green tea, a slightly piquant white tea and a refreshing fruit tea takes you into a world of aromas and well-being. The oriental-style tea caddies are accompanied by a practical tea infuser. 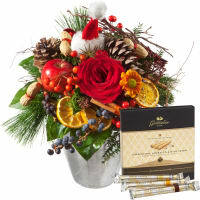 A first class gift that can only be purchased from us in this exclusive form. Pure moments of total well-being are guaranteed. Our red wines Amarone and Ripasso originate from the hilly Valpolicella region, more precisely from Marano. Both are convincing in their structure and complexity. While the Ripasso obtains this through a second fermentation on Amarone marc, the Amarone acquires its special expressiveness through the fact that it is made from dehydrated grapes. 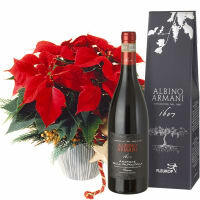 Its luscious aromas and fragrances place it amongst the great Italian red wines. 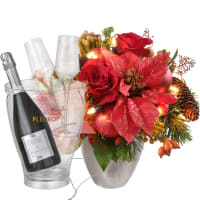 Would you like to make your party something special? 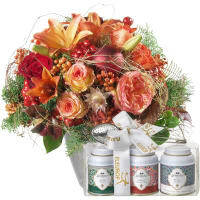 Or are you still looking for an extraordinary gift? 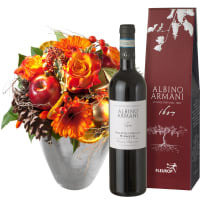 On request, we will deliver your flowers with a bottle of exclusive Prosecco Albino Armani DOC, incl. a trendy ice bucket, with or without glasses. This excellent Prosecco is cultivated by the Armani family, which has an impressive record of more than 400 years of wine-growing experience. 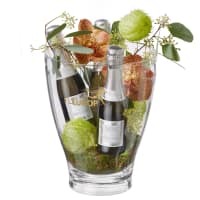 Its fine and elegant bouquet of white blossom and citrus makes it an excellent aperitif and also an excellent choice to go with the entire meal. A delight for any occasion.